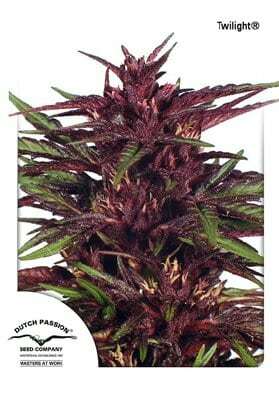 Jorge's Diamonds #1 is a common project between Dutch Passion and Jorge Cervantes Seeds. It is a unique resin-packed, mostly Indica strain that does not need much care. We are pleased to have worked with Jorge Cervantes in our mutual project called "Jorge's Diamonds". The many books, DVDs and papers that Jorge Cervantes has published in the past 20 years in 9 languages, have helped growers all over the world to grow some of the best Cannabis. It is now possible to everyone to grow Jorge's Diamond and enjoy the collaboration between Dutch Passion and this renowned grower. The genetics of this specimen was chosen by Jorge from Genetic Research Fund , whose beginnings go back 25 years ago. Jorge's Diamonds is a unique resin-packed, mostly indica strain that is surprisingly smooth when smoking, powerful and sweet. The rare indica-dominant genes are mixed with just the right quantity of sativa to give the smoke a very strong and soaring long-lasting high. The taste is sweet with wild honey and raspberries notes. This strain is very easy to grow and doe not need much care as it is resistant to mites and other pests. Medical data: the THC percentage was calculated to be 16 to 18% by thin layer chromatography having moderate THCV, CBD and CBN levels.